Optoma ZU510T-B Projector WUXGA (1920x1200), Black Chassis, Laser Light Engine, 5,500 ANSI Lumens, 300,000:1 contrast (extreme black enabled), 1.8X Zoom, H and V Lens shift, H and V Keystone, 4 Corner adjustment, 3x HDMI, 2x support (MHL), VGA In/Out, Wired remote, 24lbs, Warranty: 3 year or 20,000 hour light source warranty (whichever comes first), with 3-year Optoma Express advance exchange warranty on the projector OPTOMA Available Request A Quote! 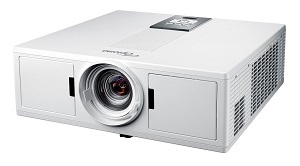 Optoma ZU510T-W Projector WUXGA (1920x1200), White Chassis, Laser Light Engine, 5500 ANSI Lumens, 300,000:1 contrast (extreme black enabled), 1.8X Zoom, H and V Lens shift, H and V Keystone, 4 Corner adjustment, 3x HDMI, 2x support (MHL), VGA In/Out, Wired remote, 24lbs, Warranty: 3 year or 20,000 hour light source warranty (whichever comes first), with 3-year Optoma Express advance exchange warranty on the projector OPTOMA Available Request A Quote! 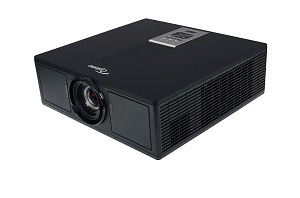 Optoma ZU650+ Projector WUXGA Phosphor Laser projector built in MCL (Multi Color Laser) and DuraCore technology, 6000 ANSI Lumens, Black Chassis, 2,000,000:1 contrast (Extreme Black enabled), Power Focus & Zoom, Power Vertical & Horiztonal Lens shift, Vertical and Horizontal Keystone, no lens on base model, Crestron RoomView, Warranty: 3 year or 20,000 hour light source warranty (whichever comes first), with 3-year Optoma Express advance exchange warranty on the projector. ORDER LENS SEPARATELY OPTOMA Available Request A Quote! 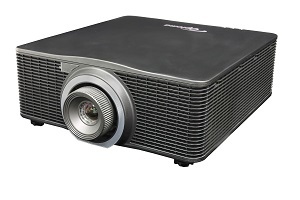 Optoma ZU850 Projector WUXGA Phosphor Laser projector built in MCL (Multi Color Laser) and DuraCore technology, 8,000 Lumens, Black Chassis, 2,000,000:1 contrast (Extreme Black enabled), Power Focus & Zoom, Power Vertical & Horiztonal Lens shift, Vertical and Horizontal Keystone, no lens on base model, HDBaseT and 3GSDI, built in blending and warping, Warranty: 3 year or 20,000 hour light source warranty (whichever comes first), with 3-year Optoma Express advance exchange warranty on the projector. 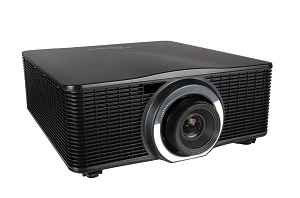 ORDER LENS SEPARATELY OPTOMA Available Request A Quote!